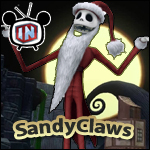 Summary: It is our annual Halloween episode of Inside Infinity. Pirate Steve and Steve C. join Lloyd and I for a spooktacular episode. We discuss the the Haunted Mansion challenge, the weekends festivities with Extra Life, what Marvel or Disney villains we'd like to see in the game, and talk about all of the scary bugs we'd like to see squashed. All this and more on episode 63 of the Inside Infinity podcast.